For a long time in my practice I did not feel ready to take on the responsibility of training student midwives. It felt overwhelming to be in that role of teacher, especially as I was getting established as a midwife and learning so much myself. Right around the 5-year mark, things started shifting for me and I suddenly felt ready to take on that job (it didn’t hurt that I was having a baby too!) I also recognized that in order to increase the number of midwives so that more women have access to midwifery care, I needed to participate in the education of future midwives. Since then I have had several students in my practice and I have enjoyed learning from all of them as well as sharing what I have learned since leaving midwifery school. Having students in my practice pushes me to be the best midwife I can be. I will always be growing as a midwife and it feels vulnerable to have people observing you while you do that work. I now have two students in my practice and the three of us work great as a team. I couldn’t ask for better people to help me along into the role of teacher. I am thrilled to introduce them to you here. I first heard about midwifery when I was 17—a woman that I knew was a midwife and she said to me that she thought I might really enjoy this line of work. Being a typical 17 year old, I blew her off and continued on my way. I got my Bachelor’s degree in Environmental Studies with a minor in Cultural Sustainable Development from Western State College in Gunnison, Colorado. I worked in that field for 5 years, culminating in a job as a naturalist at Haleakala National Park on the island of Maui in Hawaii. I was living on Maui when I attended my first birth, and it was then that I knew that the woman from my past was right—midwifery is what I am meant to do. From there, I enrolled in Birthwise Midwifery School in 2009. I finished the academic part of my training in 2011 and started formal apprenticeships that same year. I have apprenticed with home birth midwives, and with a birth center. I started working with Aly and North Star in February of this year. This fall I will go to the Philippines to a high-volume birth center in Manila to study abroad and volunteer. You can read more about my trip and contribute to my efforts here: http://www.indiegogo.com/SkyConnelly and here: http://manamidwifery.wordpress.com. I am planning to take the NARM in February 2013, and graduate from Birthwise in June 2013. When I’m not “midwifing”, as many of my friends call it, I’m usually on my bike, doing yoga, reading or in the lake. I am so delighted to meet all of you and to be a part of North Star Midwifery! As a teenager, I first knew I wanted to be a midwife when I read “Immaculate Deception” by Suzanne Arms. There was no doubt in my mind that I was called to provide holistic, family-centered care to people who are growing their families. For the next twelve years, I worked with a diverse array of families as a nanny, postpartum doula, birth doula, and as a teacher, much of that experience being in California. I began studying midwifery more intensively in 2009, taking an 8-week midwifery course with Elizabeth Davis. I then headed off to Birthwise Midwifery School, a Midwifery Education Accreditation Council (MEAC) accredited school in Maine. There, I was fortunate to learn from several direct-entry midwives, nurse midwives and naturopathic doctors both in the classroom and in two clinical rotations. I am grateful to be working at North Star Midwifery, because I love the balance that Aly strikes between trust in birth and safety in care. I plan to graduate from Birthwise and become a Certified Professional Midwife (CPM) and Licensed Midwife in 2014. When I am not working with Aly and Sky, I like to hang out with my large family (especially my niece and nephew, both born at home), take walks with my muppet-dragon of a dog, and share meals featuring lots of local produce with my friends. 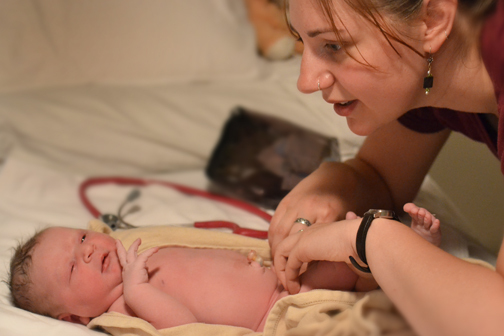 Here is a little bit more about me and why I chose to become a midwife. 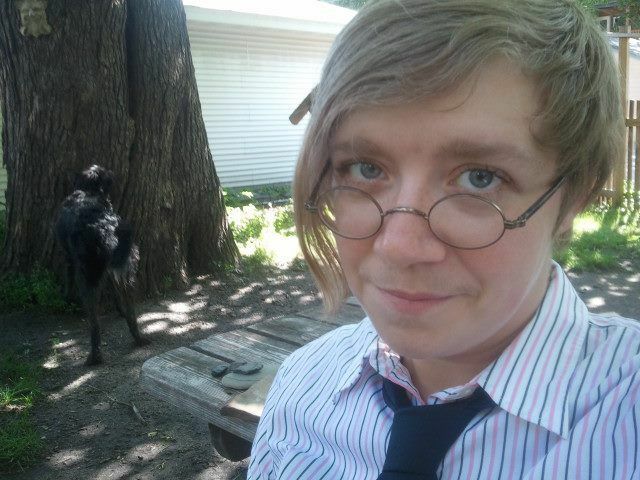 You can also read about Jackson, the other student in the practice and my very good friend. Plus, learn more about Aly Folin, the midwife I work with. 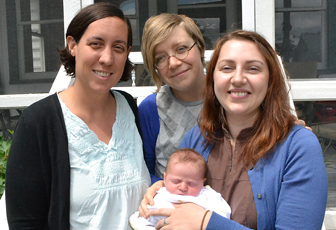 I love these people, and I feel blessed to get to be on this midwifery journey with them!